John Blichmann, the President of Blichmann Engineering is my guest this week to discuss intermediate and advanced Brewing Equipment. Blichmann Engineering is a world leader in dedicated home and craft brewing equipment and his products can be found in most major brewing retail stores. Also check out the new DVDs John Palmer and I filmed – How to Brew with Malt Extract and How to Brew All Grain are both available now! John tells us some of the things going on at Blichmann Engineering which has been growing rapidly as home brewing has taken off. We start by discussing what a traditional three tier all grain system looks like, and some of the features of their brewing pots. Next we have a short discussion about both propane burners and also electric heating elements for brewing indoors. John explains what a RIMS/HERMS system is and why they are often used for larger systems. 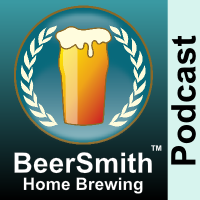 We also discuss the advantages of pumping wort – especially when you move to larger brewing sizes. Great information on equipment. Thank you!